From acclaimed children’s storyteller Cornelius Addison comes the perfect set of bedside tales starring the one and only Jumpy Puppy. This opening collection contains five fantastically funny little tales – one for every school night and all expertly narrated by the award-winning author himself. 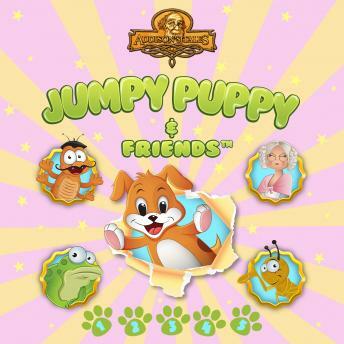 Listen in as Jumpy Puppy encounters lazy frogs, irritating crickets, educated goldfish, movie-writing fleas and some of the ridiculous monsters that live in the forest behind the Farmer's house at the end of the winding lane. What are you waiting for? Download now to dream of the cutest, naughtiest puppy dog in the entire world.